I got to try a new place last week. It’s a turo-turo inside Plaza Mexico on 25th. We went there a couple of weeks ago on a Spanish class field trip of sorts. 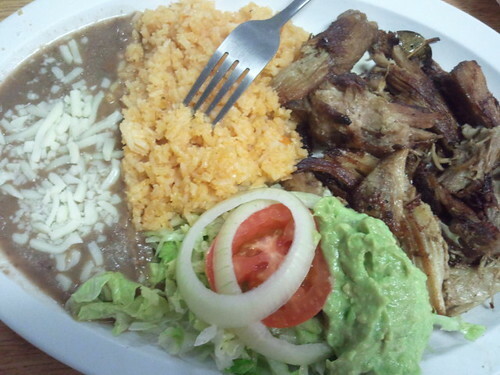 I ordered un platillo de carnitas, which was more like un plato grande. LOL. I ended up drinking soda that day, mainly because I wanted to order refrescos. They had bottled Sprite that was hecho en Mexico. This entry was posted on Wednesday, December 14th, 2011 at 10:33 pm and is filed under Mexican. You can follow any responses to this entry through the RSS 2.0 feed. Both comments and pings are currently closed.